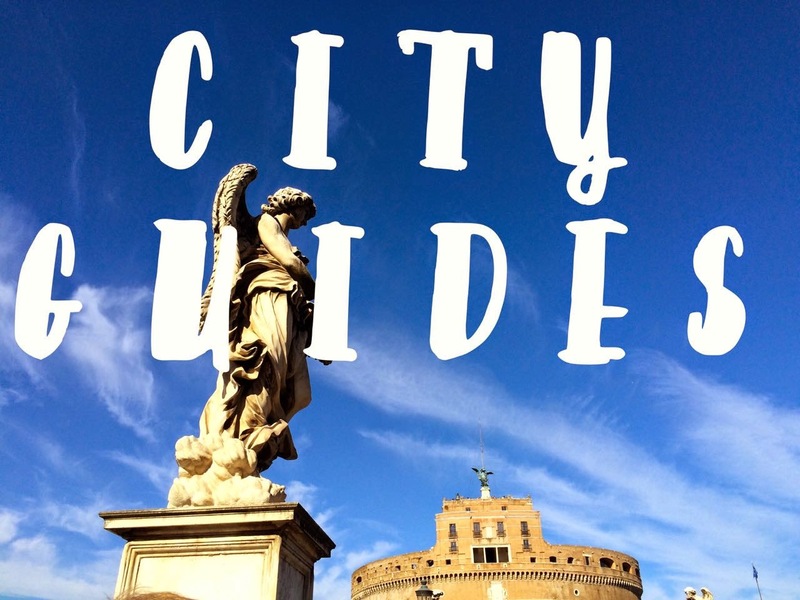 There are two ways that artichokes are prepared in Rome; alla giudia and alla Romana. 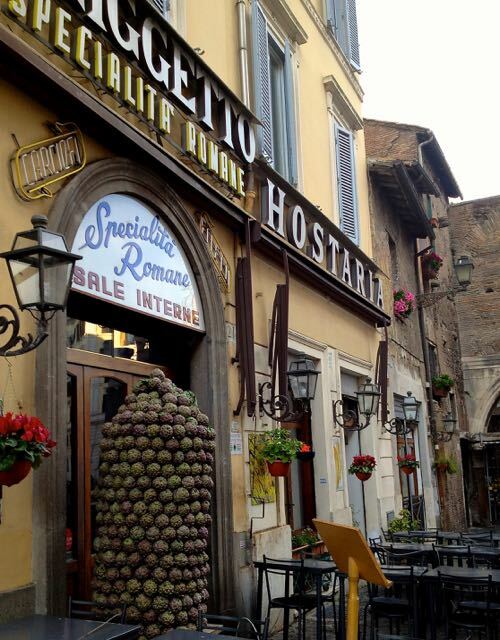 The Jewish style (alla giudia) the entire artichoke is deep fried to create kind of a Roman version of a blooming onion. Presented like a gorgeous flower on your plate, you can pick off each crunchy leaf like a potato chip. 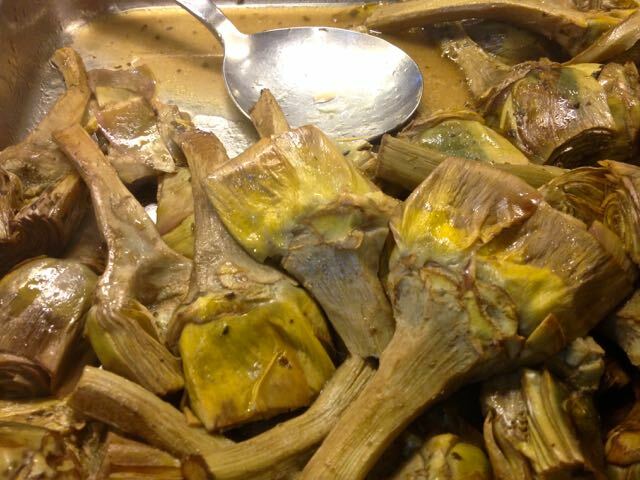 For carciofi alla Romana a prepared artichoke is stuffed with garlic and a local wild mint called mentuccia and braised in olive oil and a little white wine. Giggetto wins the award for most creative artichoke decoration. In a few weeks there will be a tower of artichokes framing the restaurants doorway. 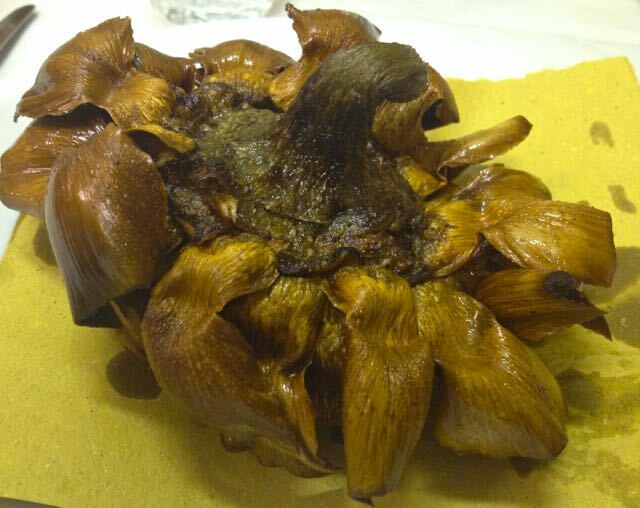 The carciofi alla guidia here is one of Rome's best. This tiny restaurant packs in a lot of history and charm. You will need to make a reservation or get there early to get a table here. The perfectly crisp and piping hot deep fried artichoke is worth it. 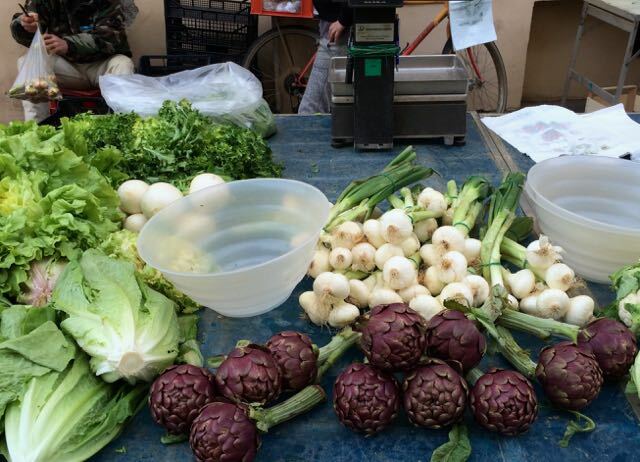 I am lucky that the place that gets my vote for the best carciofi all Romana in Rome is on my street. Can't decide between the two? You don't have to! 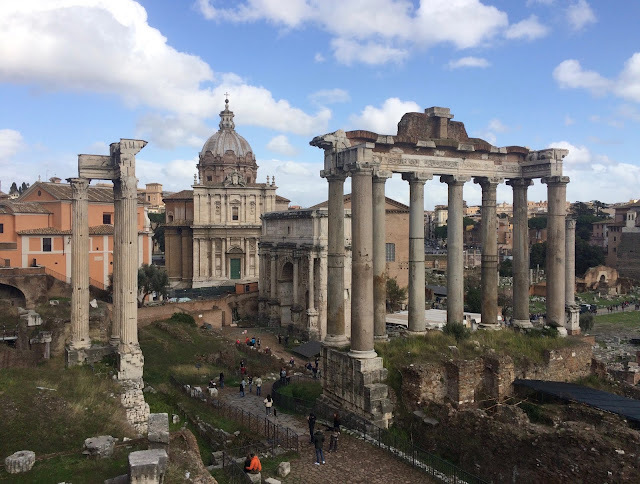 This spot that sits just in front of Trajan's Column at Piazza Venezia has created an delicious hybrid. 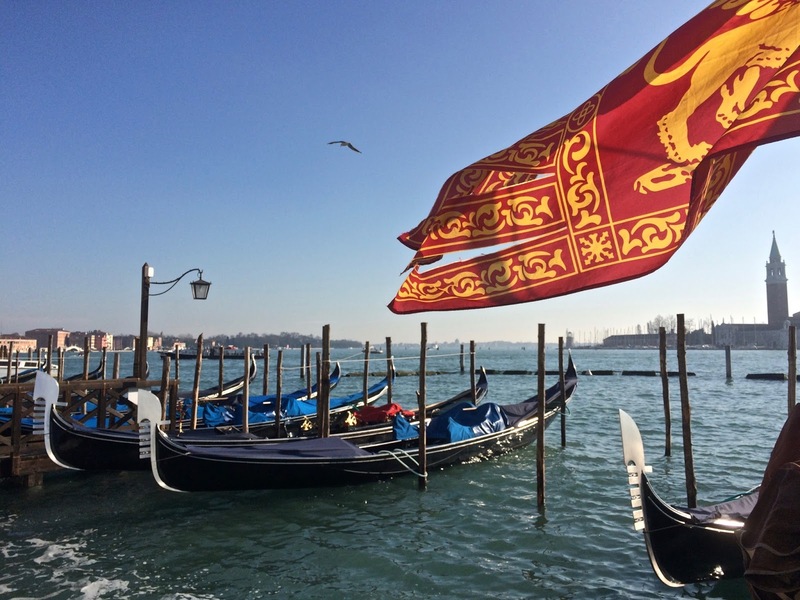 A mentuccia stuffed and then deep fried Roman artichoke. Try the best of both worlds. 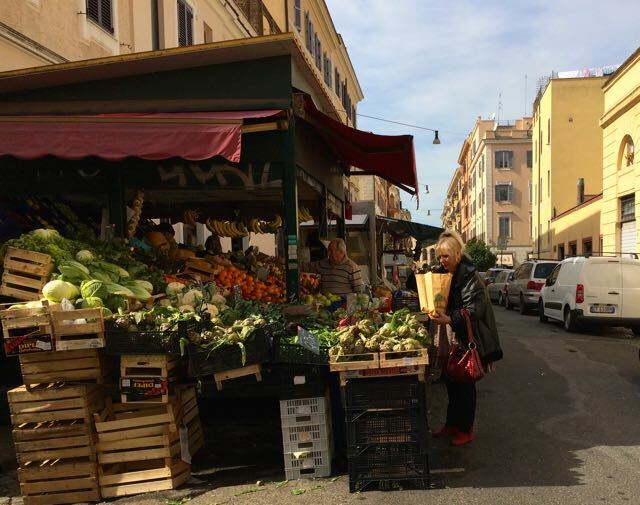 Go in the morning and watch as the market stall owners strip and clean boxes and boxes of fresh artichokes at lighting speed. 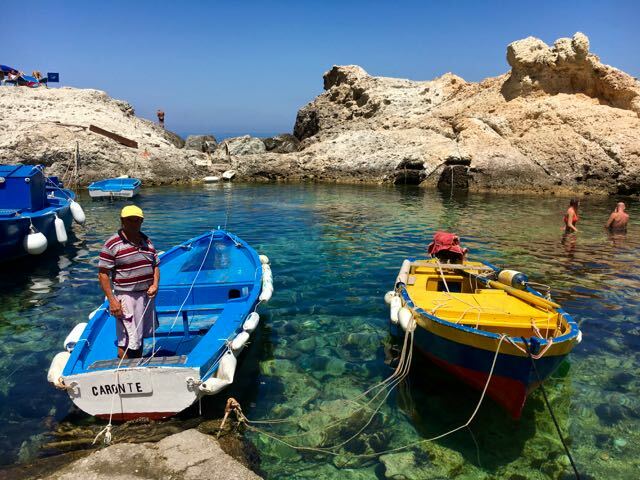 Thank you so much for stopping by and reading my blog today. Can I ask you for a big favor? 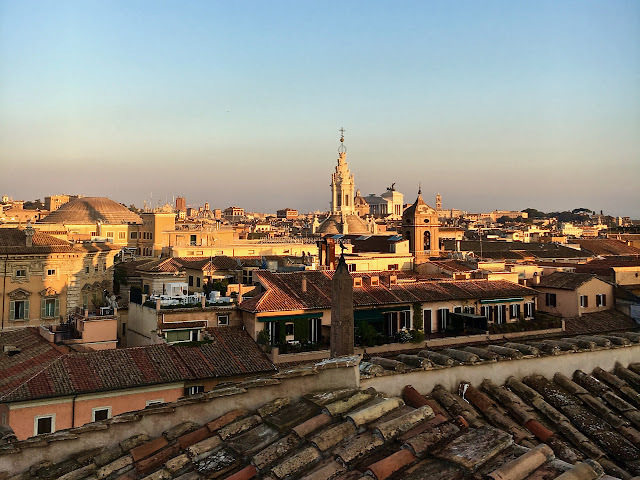 Saveur magazine is having a contest looking for the best food and travel related blogs. If you could nominate Gillian's Lists I would be so so appreciative. Just click on this link and enter my blog's URL (www.gillianslists.com)and tick however many categories you think fit. Thank you! Thank you! I would love to see you here. Anything deep fried is delicious! 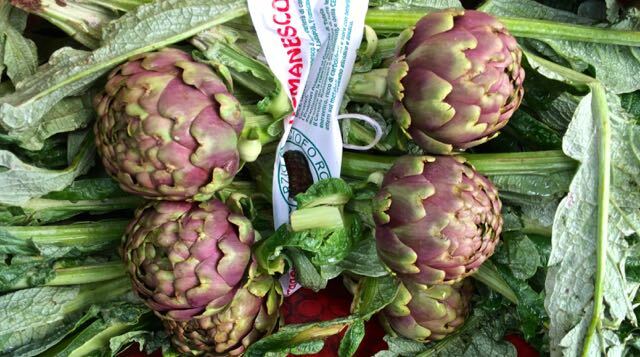 It will be the end of the season, so the artichokes will be tougher, but still here! 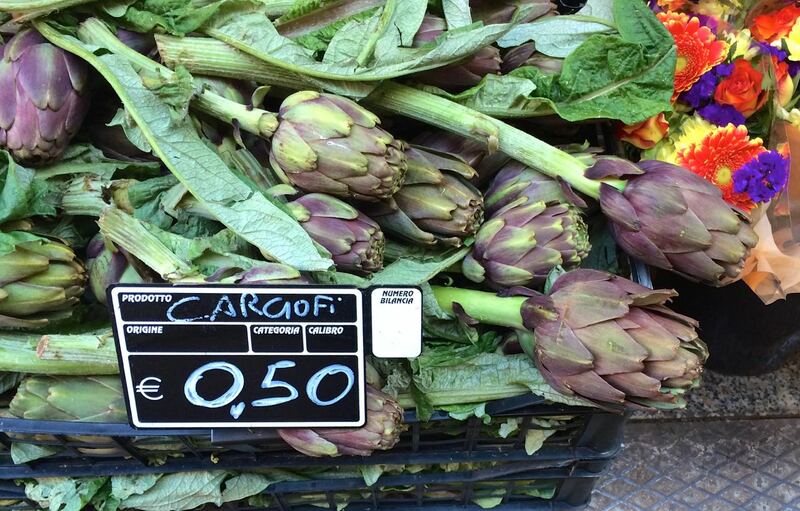 Giggetto extends the season with French artichokes. 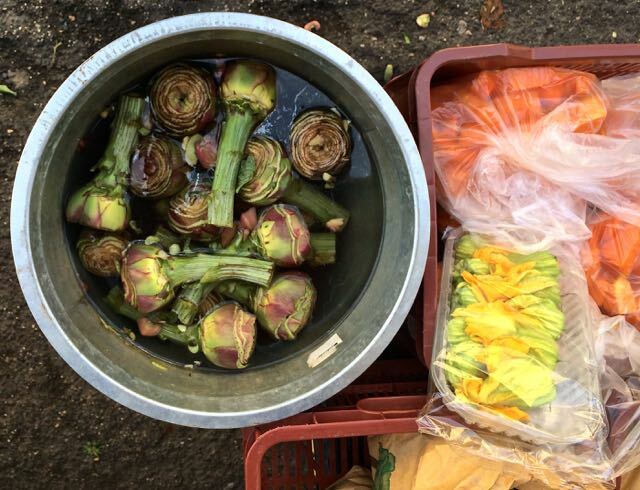 Another place Iove for fried artichokes is Flavio Valevevdetto in Testaccio.